If you want your cookbook to be published by a major publisher, you will need a platform and a book proposal. Julia Child wanted to codify French cooking, which she did in Mastering the Art of French Cooking. My co-author Janice Fryer and I wanted to systematize and simplify cookie decorating, which we did in Cookie Craft. More than with many other non-fiction books, readers interact with cookbooks, and help create the experience. They feel incredibly personal. So whether it's sharing little-known recipes from your homeland, creating low-calorie versions of favorite meals, or allowing your customers to take home your restaurant's favorite dishes, your cookbook proposal should have a consistent, identifiable concept that feels so you that only you can write it. Here are some tips for cookbook personalization. Is your reader a busy mom or dad with little time to spare cooking meals? Or a wannabe chef, who likes to challenge herself or himself on the weekend with 30 ingredients? Or Julia Child's audience of "servantless American cooks." It's important to be able to articulate who the end user of the cookbook will be, and how your concept will appeal to them. And it's essential that your recipes match your intended cooks in simplicity vs. complexity, ingredient and equipment needs, etc. If you're writing about food for campers, you don't want to include recipes that require three different pots and pans. Even better if you can make your working title really, succinctly convey the concept. If you'd like some cookbook titling insights, read this case study on how a so-so cookbook title was made more appealing to a much broader market. As in any book proposal, your cookbook proposal will have a sample chapter — and that sample chapter needs to include recipes. Many of the best cookbook editors can tell if a recipe will "work" just by reading it, and there are some who will test proposal recipes to make sure they work. So, especially for the proposal, test the recipes you include to make sure they're foolproof and delicious. Here's how to test cookbook recipes. Do you envision a photo for each step of the recipe in your book, or just finished dishes? Photography (often the author's responsibility) and color printing production cost money for, so it's good to have an understanding of photography costs and planning before you commit to providing 500 color photos you can't afford to produce. Be realistic on what and when you'll deliver a manuscript. That is, don't underestimate the work involved for the finished cookbook. 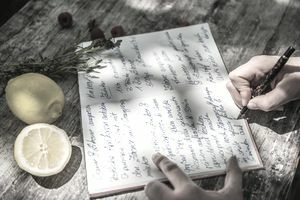 Developing a cookbook makes demands on its author that writing, say, a mystery or romance novel doesn't — that is, not only recipe and recipe headnote writing but recipe testing and photography. The amount of author resources (time, energy, money) a cookbook takes shouldn't be underestimated. When you write a proposed number of recipes or the estimated manuscript delivery date in your proposal, make sure you understand how much time it will take to get the writing and other work done. And read these Ingredients for Cookbook Success. That is, what constitutes professional-level cookbook content, including organization, recipe titles, and more.